Then spake Jesus to the multitude, and to his disciples, saying, the scribes and the pharisees sit in Moses’ seat: all therefore whatsoever they bid you observe, that observe and do; but do not ye after their works: for they say, and do not. For they bind heavy burdens and grievous to be borne, and lay them on men’s shoulders; but they themselves will not move them with one of their fingers. But all their works they do for to be seen of men: they make broad their phylacteries, and enlarge the borders of their garments, and love the uppermost rooms at feasts, and the chief seats in the synagogues, and greetings in the markets, and to be called of men, Rabbi, Rabbi. 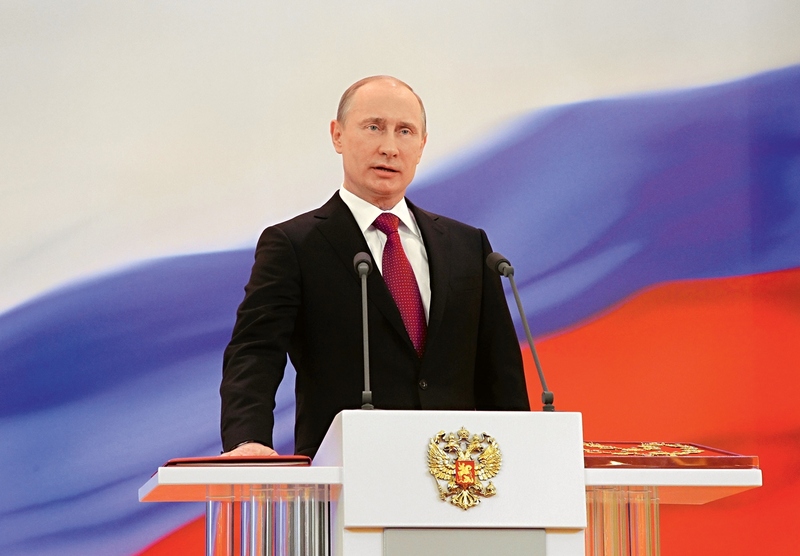 Vladimir Putin on May 7, 2012 for the third time took the oath of office as President of the Russian Federation. This fact is annoying and depressing many both in Russia and abroad. The first in the line of the dissatisfied were members of the opposition parties and movements. Paradoxically, from the “system” opponents (representatives of traditional forces of the Russian political environment) “non-system” opposition (which some would-be political scientists called “new opposition”) featured a lack of clear and coherent political program, as well as recognition of its leaders among the people. Reluctance to descend to the level of ordinary people and to popularize their ideas at all levels of society objectively led to a loss during street protests. In Russia people stopped to trust words and slogans and look at committed cases. And the opposition is in no hurry to commit cases to which people would have given a real positive appreciation. What is not surprising – any case means responsibility for its outcome, but the “opposition” is afraid of responsibility. It is much easier to shake the air with slogans than to do hard work on nationwide scale. Not surprisingly, political platform of Vladimir Putin was clear to the Russian people, he felt its influence before, during his previous two terms. Putin clearly stated his position in its articles, which received warm feedback both in Russia and abroad. Foreign analysts not unreasonably considered them to be the country’s development program for the near future. “Opposition” did not replicate such policy documents and therefore it is right to speak about intelligibility of the country course under control of hypothetical “opposition”. Ideals of opposition protesters hovering at the Moscow squares and parks are terribly far from the people. People, who know life by fashion books, authors, blogs, websites, television programs and who operate on concepts embedded into their heads at Western universities, suddenly took it upon to speak on behalf of the Russian people, though the people had never delegated upon such a right. Moreover, modern Russian “opposition” speaks of its own nation quite disparagingly - for the people in their understanding are not able to change the country for the better (better for whom?). Leaders of the “new opposition” - are not poor people and they interpret injustice of authorities only as their own distance from those same authorities. This causes them to pronounce well slogans and fiery call for some changes, the result of which should be their primary role in the Russian political scene. Insistence of the “opposition” to bring people out to the streets to clash them with representatives of the current authorities represented by police officers, to bring it to bloodshed in order to satisfy their ambitions was strongly opposed by the country’s population. To provoke the youth and throw them in a fight with police under dubious slogan is meanness. And it is even greater meanness - to do so after consultation in the embassies of third countries. Alas, they avoid the fact that those who voted for Putin spoke in favor of evolutionary rather than revolutionary path of development in Russia. People are tired of revolutions in our country, they just want to live and enjoy life. Since the collapse of the Soviet Union, the Russian people are going through series of tests that have become the result of actions as homegrown experimenters from politics and economics, as well as outright enemies of our country. In addition, on post-Soviet territory memories of multi-colored “revolution” - or rather, coups d’état carried out in sovereign states in the interests of third countries are still fresh. All have just seen what “revolution” took place in Libya and other countries of North Africa. That’s why - Putin, who proved by his previous two terms to be able to stabilize and keep the situation in the vast country, which was rolling down the slope in the 90s. And again some persons who no one knew yesterday, but today they are called “opposition”, say about violations, illegitimacy, demanding resignation of one and all, but most importantly – Putin… With rapid remission of information wave of the recent meeting, they again apply for holding next meeting. But again in their words there are no constructive suggestions. It is not possible to avoid mentioning foreign “friends of Putin”. All of them for some reason decided that they could teach the Russian president democracy, as well as how to govern Russia. But they forget that Russia is a sovereign power, which means self-determination within the country. The fact that those who were equal in status to Putin during his early political career - Blair, Bush, Schroeder, Chirac and even Sarkozy - are out of power. And his share of political power, not only survived over the years, but continues to grow, despite the fact that it causes some resentment. So the Russian president’s foreign partners should think before teaching a more experienced person. And in the end - opinion of an everyman. If all foreign enemies of Russia, as well as domestic rebels shout in unison that Vladimir Putin is bad and he should leave, then one will inevitably come to the conclusion that perhaps he does it right?